Store - WIND RIVER COMPANY L.L.C. CROSS TRAINING 101; Reining, Cutting, Cowhorse. 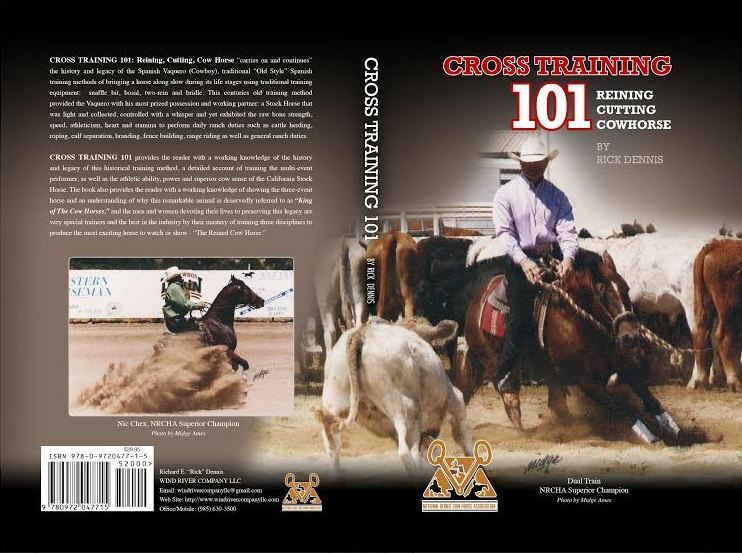 The history of the Old Style or traditional training methods of the Spanish Vaquero and the "How To Book" on training the Reined Cow Horse from Colt Breaking and Starting thru The Finished Bridle Horse. Official ook of the - Jay Winborne Executive Director. 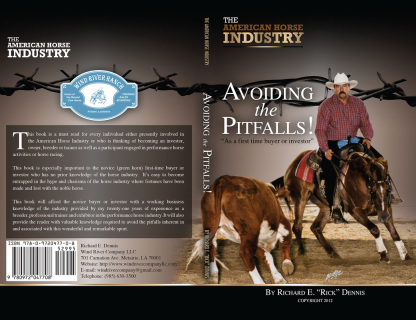 THE AMERICAN HORSE INDUSTRY; "Avoiding the Pitfalls!" The first in a series of equine training books, by Rick Dennis. This book is especially important to anyone in the horse industry ! "NO MERCY, Memoirs Of A Drug Enforcement Agent", by Richard E. "Rick" Dennis will be on sale by the end of 2017 or by the 1st Quarter of 2018.